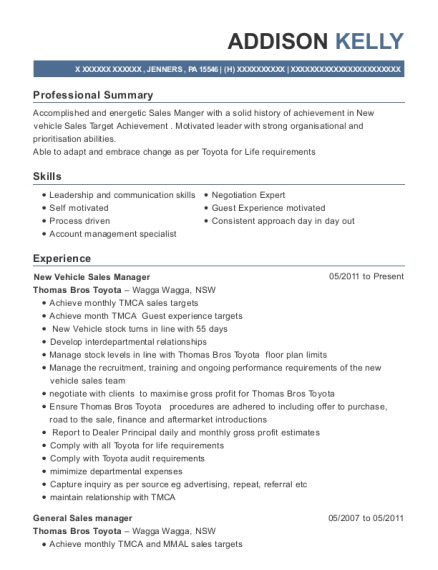 Accomplished and energetic Sales Manger with a solid history of achievement in New vehicle Sales Target Achievement . Motivated leader with strong organisational and prioritisation abilities. Perform work activities of team members, such as cleaning and organizing shelves and displays and selling merchandise. 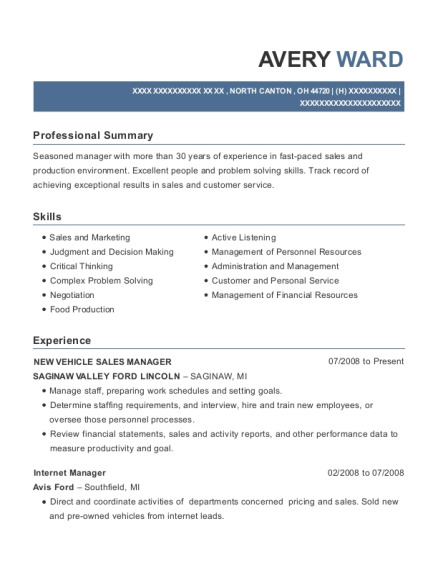 This is a resume for a New Vehicle Sales Manager in JENNERS, Pennsylvania with experience working for such companies as Thomas Bros Toyota and Thomas Bros Toyota. 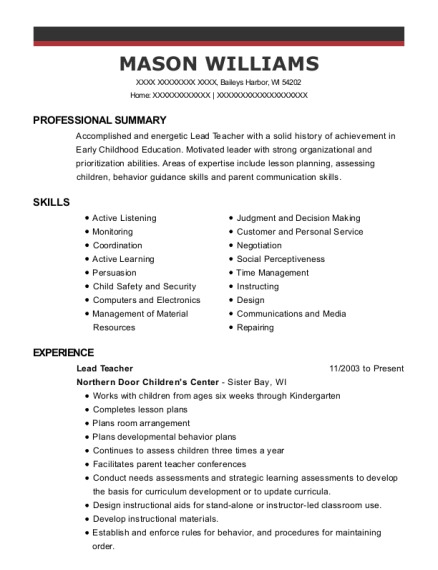 The grade for this resume is 0 and is one of hundreds of New Vehicle Sales Manager resumes available on our site for free. 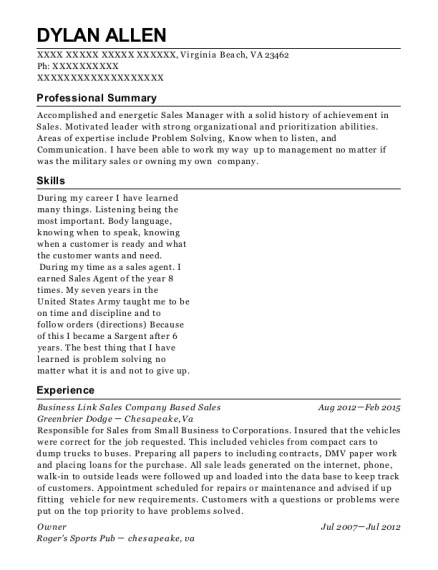 Use these resumes as templates to get help creating the best New Vehicle Sales Manager resume.